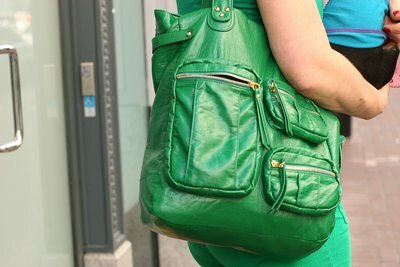 "I love green. I found these green jeans and I'm so fond of green. I love public spaces. Art if it's not seen, might as well not exist." Spotted the stencil artist known as Eclair-A-Cuda walking her dog in downtown San Francisco. 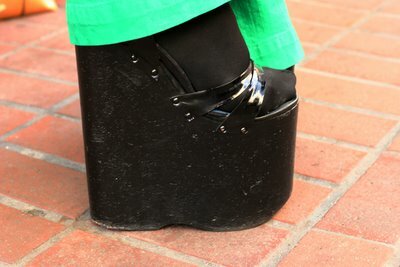 Besides her tall stature (owing to custom made platforms), I like how she's dressed in monochrome green. It's a visually striking fashion decision and I salute her. A look at those platforms.